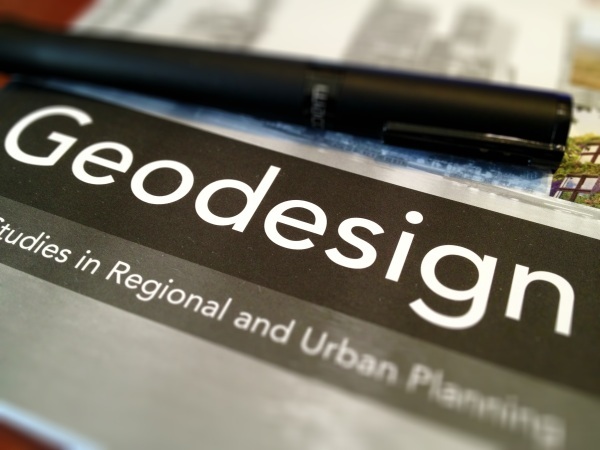 The Geodesign Summit (when did they drop the CamelCase?) is happening next week and I’ll be elsewhere or I’d totally go. You all know I’ve had a soft spot for Geodesign and it’s always a good time. Plus Bran Ferren is keynoting so that’s worth the price right there. Now those with kids know there is something that is bigger than any other game out there right now. Minecraft is played by my son and his friends more than any other game out there. On the Mac, Xbox, iPad, iPhone; it’s crazy to think about how such a simple game has taken over for today’s connected youth (did Qualcomm really try and call them “Generation M”?). I won’t spend my time explaining it here, but it breaks down the whole world into blocks. You can build, destroy, create and battle your environment by yourself or with friends. Sort of like SimCity, but not constrained by products. You get raw materials and build as you go. So I was playing along with him last night and I got to thinking. The blocks in Minecraft are a great way to symbolize man’s impact on the world. Start mining for diamonds and pretty soon you’ve got either a huge hold in the ground or a mountain that looks like swiss cheese. It all came to me when Connor said he wished he hadn’t dug such a big hole because the sheep and pigs kept falling into it (that’s pretty funny out of context, but you’ll get over it). So while I was building my Fort out by the sea, he went back to restoring the hillside so it not only looked good, but could support trees, flowers and bushes. We talked about creating a rail line between our two forts and he wanted to make sure it was routed around area’s he wanted to protect. Now I’m very proud of my son for those good choices and it seems like the speed at which you can work with the blocks in Minecraft would be a great tool for showcaseing what GeoDesign really is. My great friend Dale Lutz wrote a super post on this a couple months ago. So imagine my surprise upon learning that Mojang and the United Nations were teaming together in the cleverly named initiative “Block By Block” to encourage the use of Minecraft in crowdsourcing urban planning, giving youth “the opportunity to show planners and decision makers how they would like to see their cities in the future”. I know there will be awesome CityEngine, SketchUp and open source analytical tools presented. Those are needed of course, but I’ll tell you I sure wish I was there to give a lightning talk on Minecraft and Geodesign. Jack always says the key to good Geodesign is iterative evaluation. I can’t think of a quicker or easier tool than Minecraft. Let’s get that FME 2014 reader/writer out there Safe!